Awesome Matrix T+ @ophidiaplus.com | Vida Preciosa International, Inc. This was our most anticipated @ ophidiaplus. 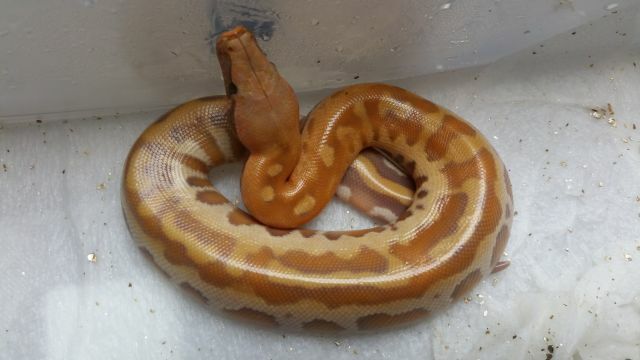 From breeding a Matrix het T+ (VPI) X T+ (VPIxBushmaster) We got 1.3(Maybe 2.3) Matrix T+! We areso happy with them. especially with the outstanding female. BTW just saw the FrostBite-Matrix Congrats ! really nice animals.